Thirteen is a lucky number for Ford. They came back to the Texas Truck Rodeo ready to prove they were by no means ready to stop their winning ways, having earned the Truck of Texas title in more than half of all the previous Texas Truck Rodeos. Previous wins dated all the way back to 1993. Ford also posted victories in 1997, 1999, 2003, 2004, 2005, 2006, 2007, 2008, 2009, 2011, 2014 and 2016. I attended a special introductory launch of the new 2017 Super Duty in Colorado earlier this year and felt at the time it would be strong contender for this year’s Truck of of Texas award. We took the truck on-road, off-road and put it through every imaginable test. I left the event feeling that this new heavy-duty truck was as comfortable while on the highway as any sedan I have driven. It is amazing how a heavy-duty truck is now smoother riding than any half-ton truck of past years. I took the Ford Super Duty through a mud pit in Colorado on the introductory launch event of the truck. 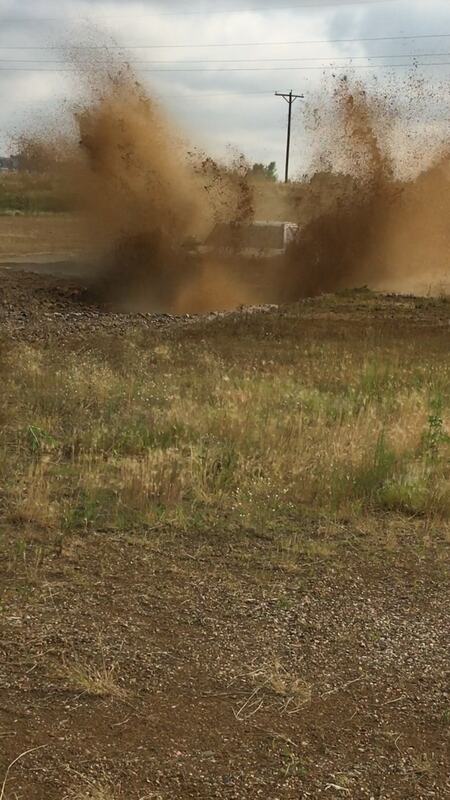 Here, you can see the mud flying three times the height of the 2017 Ford Super Duty truck. 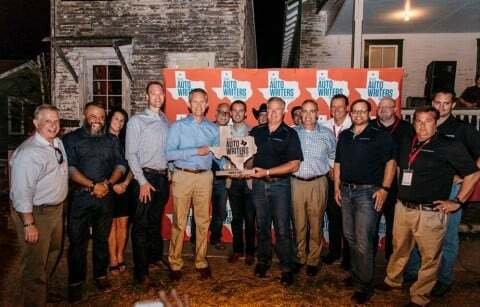 Ford trucks earned top honors at the Texas Auto Writers Association’s 2016 Texas Truck Rodeo, with the all-new 2017 Ford F-Series Super Duty – the toughest, smartest, most capable Super Duty ever – being named “Truck of Texas,” the most prestigious award given at the 23nd annual competition. 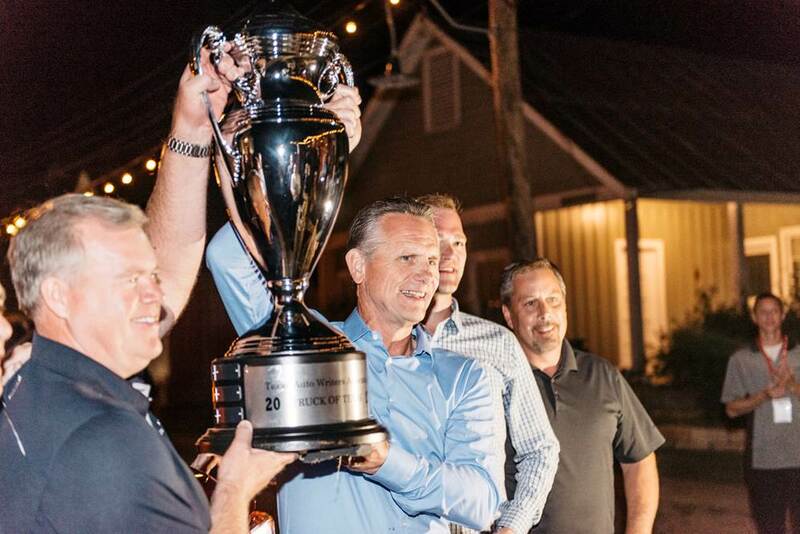 This will be Scott’s last rodeo as the Ford Truck Group Marketing Manager, although he vows he would love to return to Texas for future events after he rests from the rigors of keeping the F-Series the number one selling truck in the world for the past 39 years. “Doug has had a stellar career…time to give him some time off for good behavior,” quipped Ford President and CEO Mark Fields in a private exchange I had with him upon hearing about Scott’s retirement. A good friend of TAWA, and very able Ford Truck Management Veteran, Todd Eckert will be returning from a South American management roll to replace Scott after he rides into the sunset at the end of this year. One of the main features I enjoyed most in the new F-250 is the level of technology built in. At the launch event, I experienced being able to use seven built in cameras that let me know exactly where I was in relation to surrounding rocks, other vehicles, curbs and any other obstacle that might confront me. But the technology doesn’t stop with the cameras. Using advanced materials to reduce weight, 2017 F-Series Super Duty pickup trucks feature all-new segment-exclusive smart technology features to help increase customer productivity, comfort and convenience. The backbone of the truck is an all-new fully boxed frame comprising more than 95 percent high-strength steel that’s up to 24 times stiffer than the previous frame –enabling best-in-class towing and hauling capability. Super Duty also features heavier-duty four-wheel-drive components, driveline, axles and towing hardware. For the first time, the 2017 Ford Super Duty body uses high-strength, military-grade, aluminum alloy, which is more dent- and ding-resistant than the outgoing steel body and not subject to red rust corrosion. Together, high-strength steel and high-strength aluminum alloy help reduce weight by up to 350 pounds. Ford engineers reinvested that weight savings everywhere it counts, to give customers more towing and hauling capability than ever before. With towing central to the Super Duty mission, an all-new advanced coaching and camera technology makes conventional as well as gooseneck and fifth-wheel towing easier and more efficient than ever. From LED lighting to adaptive cruise control, the 2017 Ford F-250 boasts 17 segment-first features that assist Super Duty customers – making driving and work situations easier and more comfortable. As many as seven cameras help drivers see angles and monitor conditions surrounding the truck, providing better trailering than ever before. A center high-mounted stop lamp camera provides visibility into the cargo box, especially useful for hooking up gooseneck and fifth-wheel trailers. A 360-degree camera system uses four high-definition digital cameras to give the driver a bird’s-eye view surrounding Super Duty. Trailer Reverse Guidance provides visual cues and tips to help ease backing up a trailer. The first factory-available trailer camera can be attached to a trailer to improve visibility backing up. Super Duty is part of the Ford F-Series lineup. Now in its 68th year, F-Series has been the best-selling truck in America for 39 consecutive years and the best-selling vehicle in America for 34 consecutive years.